Planning a family vacation can be a daunting task. You want to get away from stress, bad weather, and that endless to-do list, yet you also want to know your family will be happy with the resort and the destination selected. 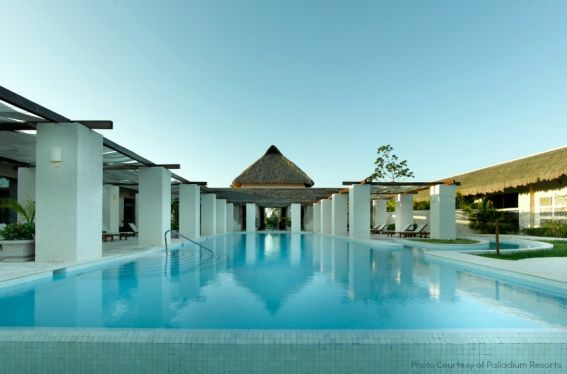 Fortunately, when vacationing at one of the many Palladium Resorts properties, including Riviera Maya, Mexico, families can be confident they will be able to relax and enjoy themselves at a great value. 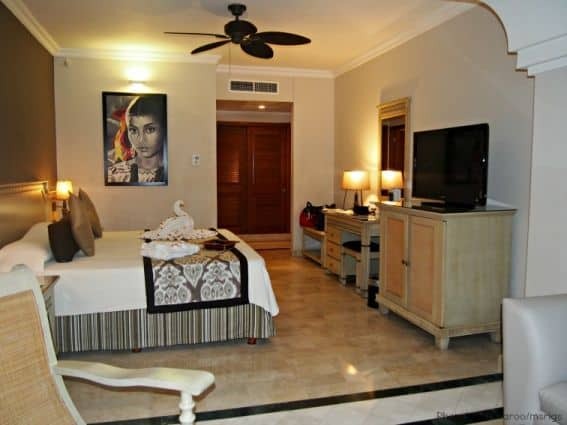 What makes Palladium Riviera Maya so amazing? Quite simply, there’s something here for everyone, from older travelers down to the littlest vacationer in your group. Whether you’re hoping for tasty meals, a great pool experience, the ability to walk or sun yourself on the beach, fun water or land sports, relaxing spa treatments, an amazing kid’s club experience, or nearby day trip opportunities, Palladium Riviera Maya has it! The best way to reach the beautiful coastline of Riviera Maya is to fly into Cancun airport. From there, it’s roughly 90 minutes to the hotel. The Cancun airport can be hectic and arranging transportation upon arrival can be both confusing and nerve-wracking, so do yourself a favor and pre-arrange your transport to the hotel. No one wants to be overwhelmed at the start of a vacation (or overpay for that matter). Once at the resort, there’s no need for a car unless leaving the property for a day trip is planned. Even then many trips can be done using cab service or arranging transportation through the concierge. Staying at the Palladium means families can take advantage of spacious rooms. The resort is all-inclusive, including the in-room refrigerator filled with tasty beverages. I loved that when I set out for the pool or the beach I could grab a cold water bottle and not have to worry about how much it would cost me each time. The rooms are climate controlled and we enjoyed the lovely sitting area inside, as well as the outdoor patio. The beds here were very comfortable and the bathroom was well equipped with toiletries and a hair dryer. Some rooms even come with jetted tubs, outdoor showers, hot tubs. and soaking tubs, making relaxing even easier. Do keep in mind that there are no elevators at the resort though, so if you have family members with mobility issues (or don’t feel like hauling luggage up the stairs), be sure to request a ground floor room. The property is also huge, and although they do have golf cart service to other buildings, do remember your comfortable walking shoes! From past experience, I’ve learned not to get my hopes up when it comes to hotel food. Fortunately, I can attest to the quality of the meals at the Riviera Maya. I ate in several of the restaurants, as well as enjoyed a meal or two at the buffet during my stay. While I found the restaurant meals to be better quality, I was not disappointed with the buffet choices. I really loved the fresh fish at lunch! The coffee wasn’t my style, but fortunately there were lots of choices and you could sample a little bit of a lot of things, or just enjoy something simple. The buffet was perfect for breakfast or a quick lunch on the go. If you decide one of the restaurants on-site is what you want for dinner, remember to plan ahead and make reservations. Although you can try to get in last minute, there may be a wait (sometimes a long one), and if you have little ones, the risk of a hungry meltdown may not be worth it! Also, let the staff know when you book, and remind them at check-in, about any special dietary needs to be sure they are met. 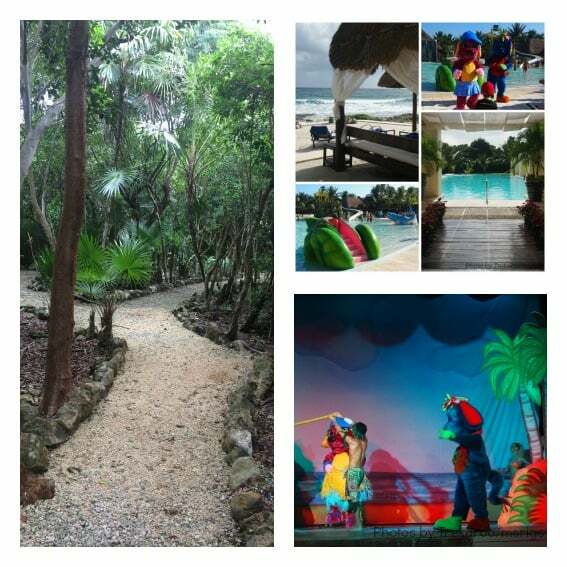 On-site activities at the Palladium Riviera Maya include fun, family options such as mini golf, tennis, basketball, volleyball, and more. There are also water sport options (some for a fee) that provide a little adventure. Kiddos, as well as parents, will love the many pools: eight freshwater (one with a water park) and one saltwater pool by the ocean, as well as a 2,400-foot stretch of private, white sand beach. The beaches are perfect for relaxing and taking in some of the Riviera sunshine! For those who need further relaxation, there’s also a fantastic spa on-site. Parents of little ones should investigate the Kid’s Club “Play at Palladium With Raggs.” Watch the children dance and sing along with Raggs and his canine friends as they play at the resort. Special events, shows, and a character breakfast are also scheduled throughout the week, and you’ll LOVE watching how much fun your kids have making memories of their own thanks to these lovable and friendly dogs. This kid’s program is one of the very best I have seen! If you’re looking for off-site options, there are several day trips that can be booked to nearby Tulum, Xel-Ha or Xcaret. 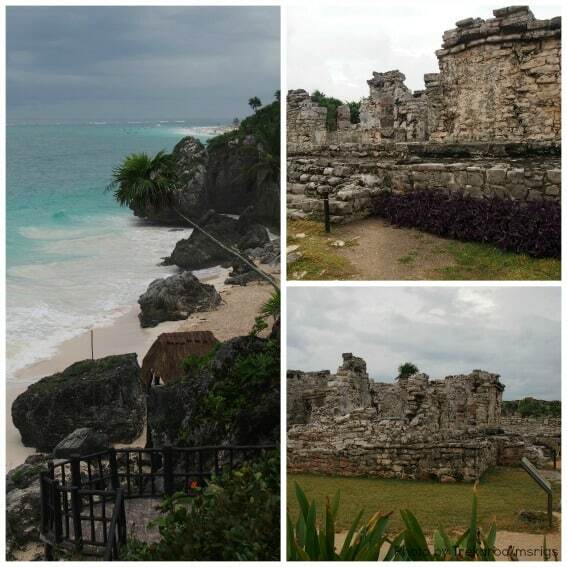 I visited Tulum and found it to be very doable in a day. Here are some additional ideas for Outdoor Adventures in Riviera Maya With School Aged Kids. Explore some Day Trip Ideas For Cancun and Riviera Maya. Staying and playing at the Palladium Riviera Maya was a wonderfully relaxing experience thanks to the staff’s attention to detail and all-inclusive pricing. After all, there’s nothing more disappointing than making vacation plans for the family and then finding the reviews don’t match up to the experience. Fortunately, Palladium Resorts’ reputation speaks for itself with more than 40 years of hosting great vacations. Come see for yourself! You’ll leave refreshed and rejuvenated! Thank you to Palladium Resorts for hosting my stay and allowing me to experience their luxury family friendly resort. Though my trip was complimentary, the opinions expressed in this article are entirely my own.